Best known as “Toto” from the Wizard of Oz, the Cairn Terrier is a small, hardy working terrier. Originally bred to aid Scottish farmers in ridding their properties of pests, Cairns today use their tenacity to excel in obedience, agility, terrier and tracking trials. Alert and active, this breed possesses a harsh, weather-resistant outer coat that can be any color except white. The hair around the head gives him a general foxy expression. 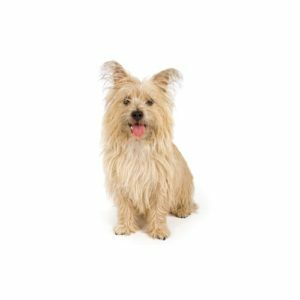 The Cairn originated in the Highlands of Scotland and the Isle of Skye, initially grouped in the “Skye Terrier” class alongside the Scottish and West Highland White Terriers. In the early 1900s, the three breeds began to be bred separately. The name “Cairn” refers to the rock dens that foxes and badgers lived in throughout the countryside. The dog would squirm down into these “cairns” and bark to hold the predator until the farmer killed it. Cairns love their families, but may try to test their owner?۪s limits, so obedience training is necessary. Although they learn quickly, the Cairn may always have the instinct to dig and chase small animals, so new owners should be prepared for these behaviors. Regular brushing and exercise are also necessary to keep the breed fit and happy. Terrier Group; AKC recognized in 1913. Ideal size about 10 inches tall at the shoulder and 14 pounds. 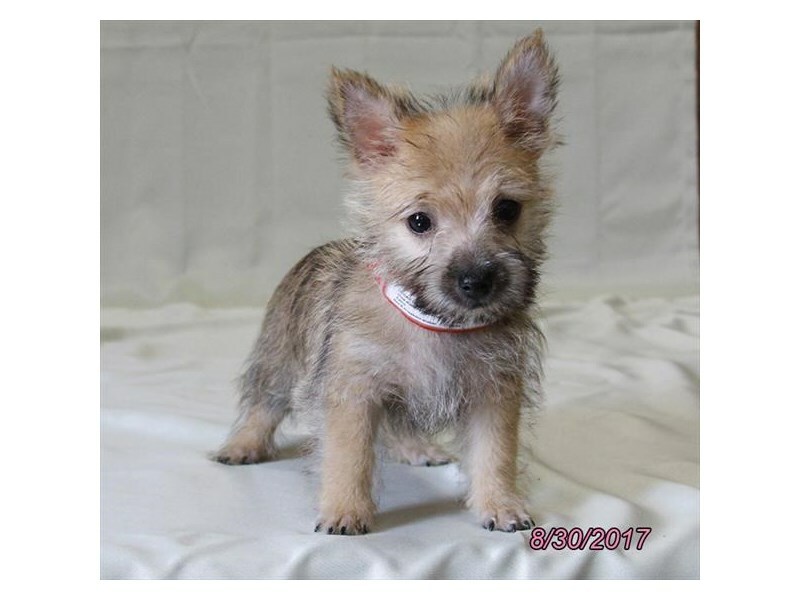 Are you interested in purchasing a Cairn Terrier?